Based on the New York Times Best Selling, Jessica Darling Book Series by Megan McCafferty, Jessica Darling – a smart, witty, opinionated girl heading into 7th grade – was never too concerned about where she’d fit in the middle school hierarchy. 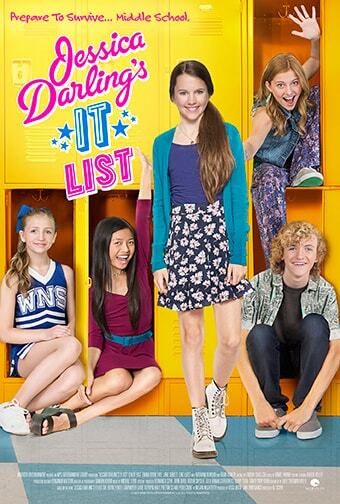 But before her first day of school, her older sister — the super popular Bethany, now in college—decides to help out by giving her the “It List”—a cheat sheet on how to navigate the middle school maze and rise to the top of the popularity chain. The instructions appear simple enough to follow, but, like life, nothing is as easy as it seems.